Besides helping them establish foundations necessary for primary school, we endeavour to provide each child with a fun and adventurous childhood. What is "curriculum" to us is "experience" to a child. 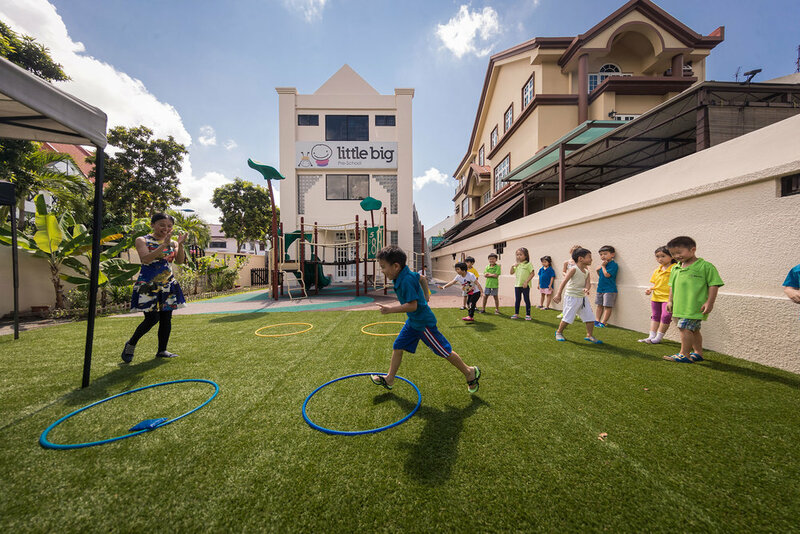 At Little Big, we curate, conduct and facilitate experiences to allow each child to develop skills and acquire knowledge to relate, inquire, express and learn. Environment is the Third Teacher. With a built-up area of over 5,500 square feet and an outdoor space of about 1,000 square feet, we are able consistency refresh the learning space to be aligned with learning themes. We asked of our team to be professional, to be effective and most importantly, to care.